Welcome to egg week here at French Twisted Woman! This is the third and final eggciting thing I will do with eggs this week. 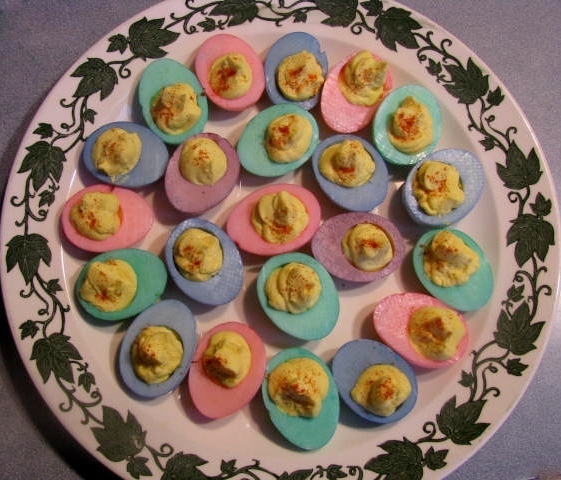 Kids get eggcited about these eggs, and in my eggsperience, the adults think the Colored Deviled Eggs are rather fun, too. Follow along while I eggsplain how to make them. 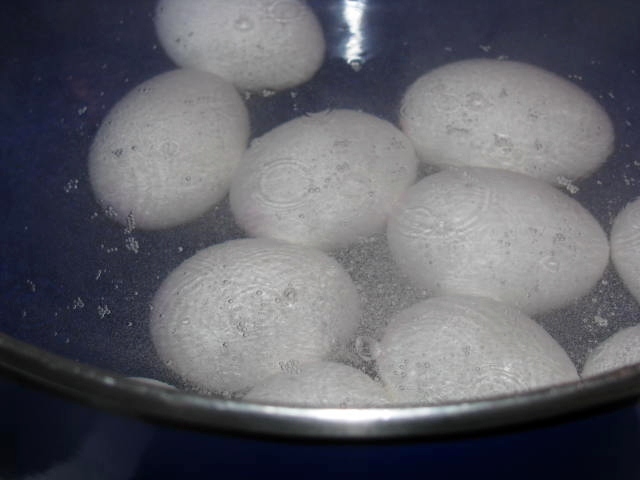 Place desired number of eggs in the pan. I made one dozen. Bring water to boil. Reduce heat and simmer for 15 minutes. Don’t worry. They won’t eggsplode! 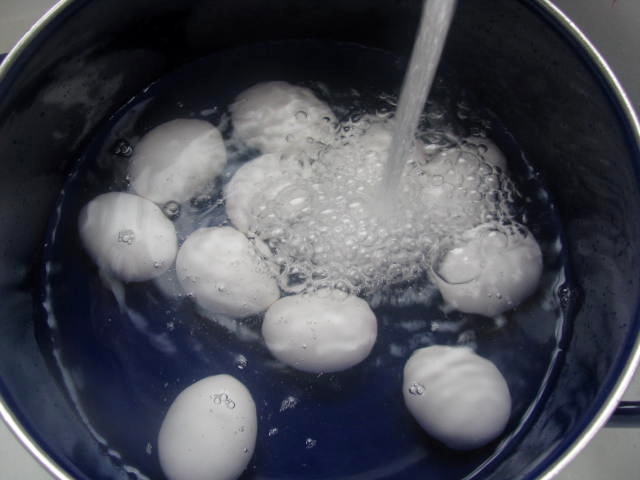 Rinse eggs in cold water until they are cool. 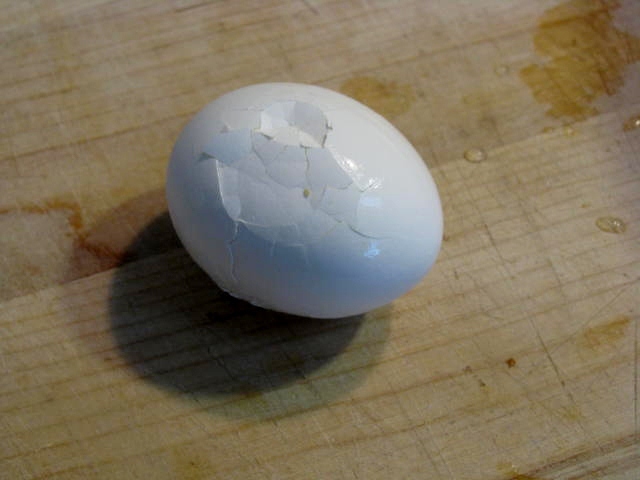 Eggsercize caution and be sure they are completely cool prior to peeling. 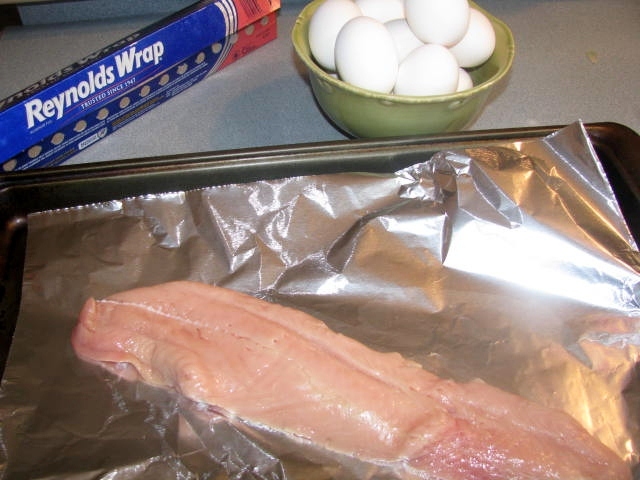 We interrupt this program…the eggs were ready to be peeled when MacGyver arrived with a fresh Steelhead Trout that needed to be cooked for dinner. Olive oil, lemon juice, sun-dried tomatoes and basil and I wrapped the fish in foil and put it in the oven. Back to the eggs. I was not expecting the trout, but it was a welcome interruption. Sometimes life throws you a curve ball. Breathe. Inhale. 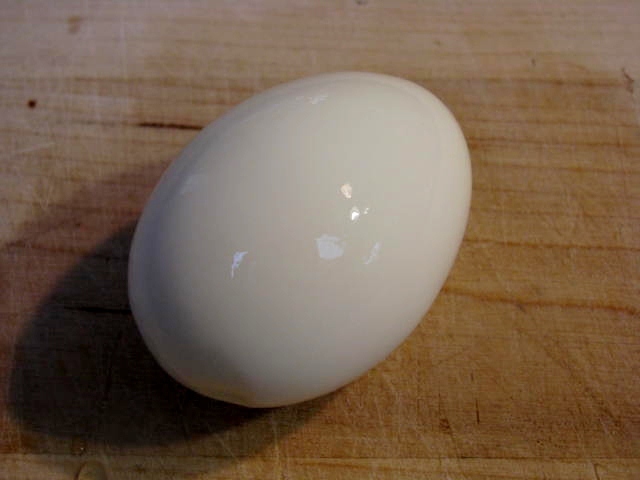 Eggs-hale. 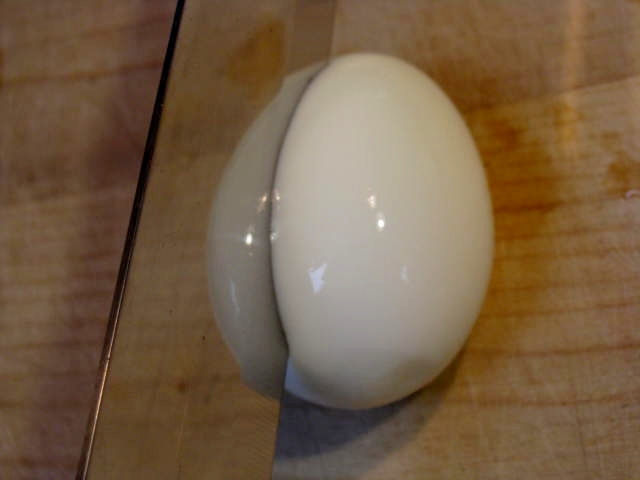 Cut the eggs eggsactly in half. 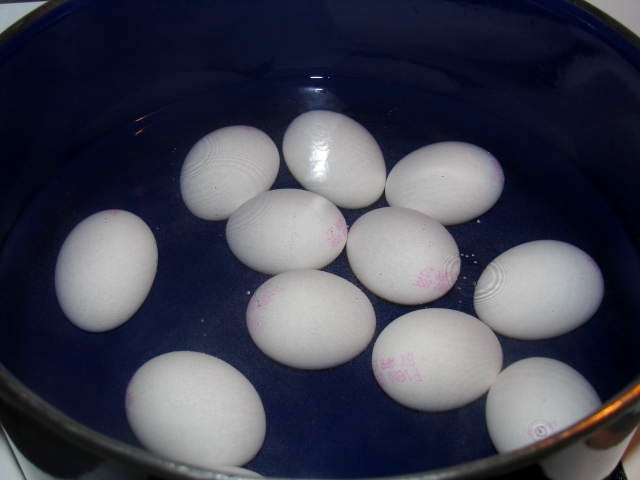 Remove the yolks and place them in a bowl. At this point, my son entered the kitchen and wanted to help. Before I knew it, he had finished the deviled egg filling. So, there are no pictures of him adding the mayonnaise, vinegar and mustard to the yolks. But that is eggsactly what happened between the photo above and the photo below. To one dozen egg yolks, he added 1/2 cup of mayonnaise, 2 teaspoons of white vinegar, and 2 teaspoons of Gulden’s mustard. A lot of recipes say to mash the yolks with a fork. 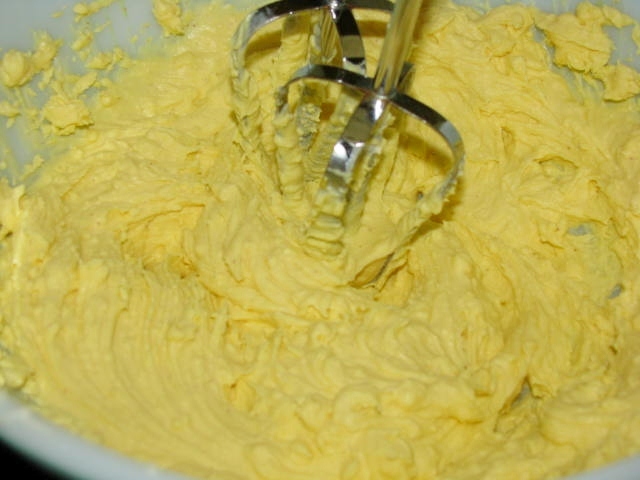 I like to use a mixer because I prefer the non-chunky yolk filling for my eggs. At this point, you may add any other seasonings that you like, bacon, chives, etc. We like our filling plain – simply yolks, mayonnaise, vinegar, and mustard – no eggstras. Make your dye. 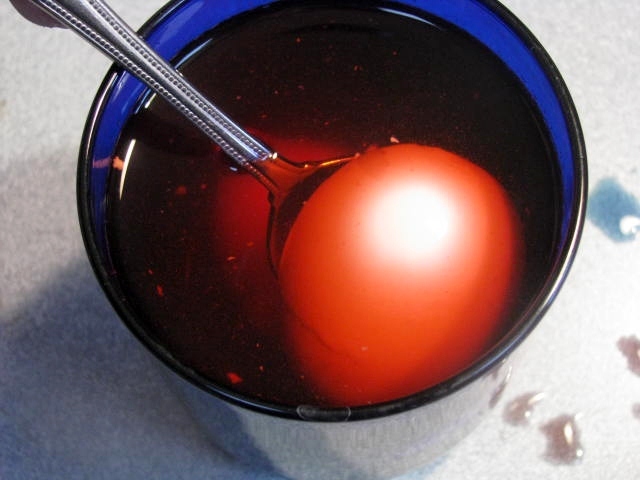 Mix a cup of water, a teaspoon of vinegar, and food coloring. Place your egg whites in the dye. The longer you leave them, the darker the color will be. Drain them on a paper towel. Some of my eggs have little flaws. I am not an eggspert, but they will still taste delicious! 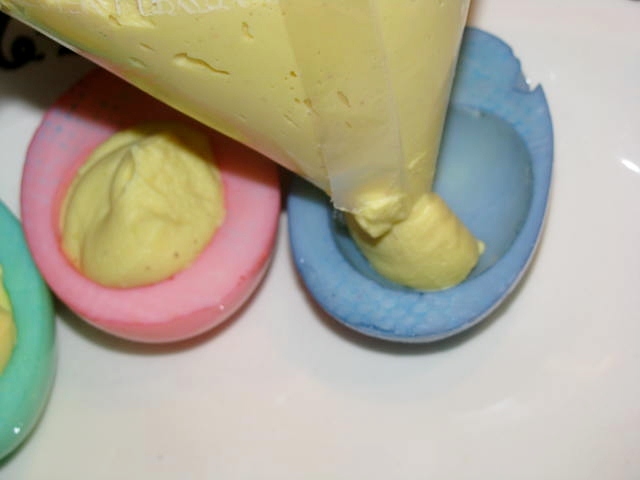 Eggspress the deviled egg filling from a pastry bag or a plastic bag with the corner cut off into the colored egg halves. Sprinkle with paprika and voilá! 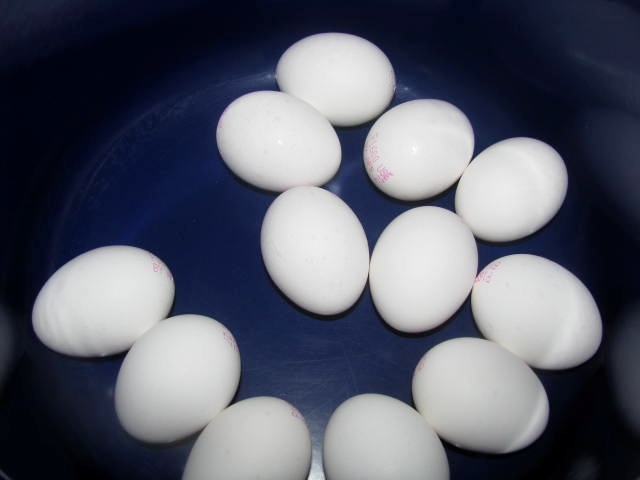 Make red, white, and blue eggs for the 4th of July. Brown, orange, and gold eggs for Thanksgiving. The possibilities are eggstraordinary! In France, these are Les Œufs Miimosa or Mimosa Eggs. 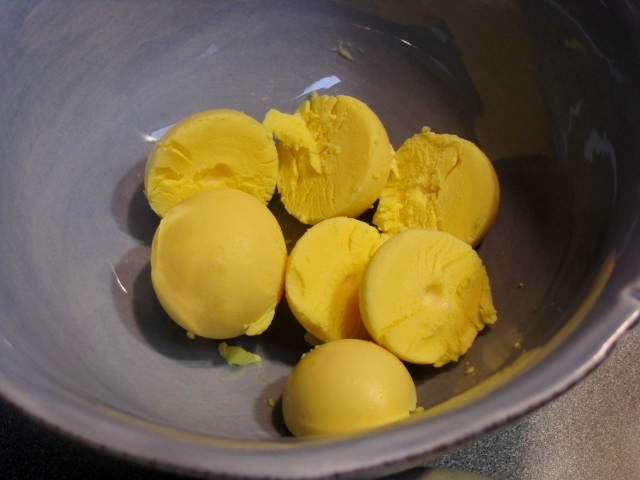 Only half of the yolks are used in the filling. The other half are finely minced and sprinkled on the stuffed eggs. 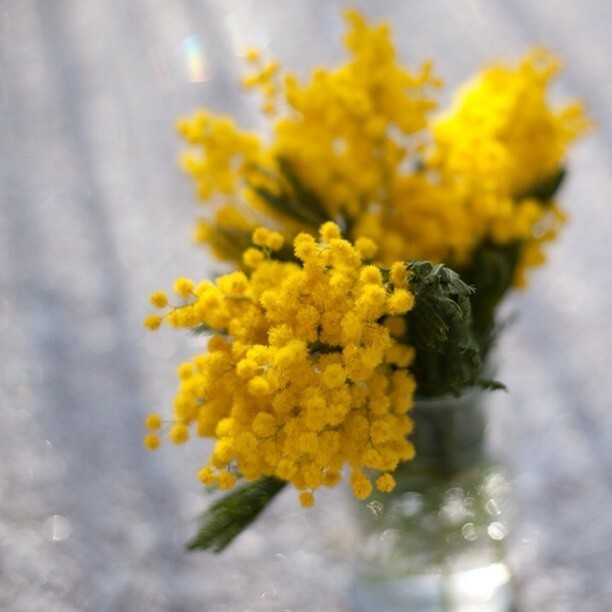 The bright yellow sprinkles resemble the Mimosa flower, so they are aptly named Mimosa Eggs. And Deviled Eggs? Why do we call them Deviled Eggs? In short, it originated in the late 1700s and has to do with spicy food and the “Underwood Devil.” Click here for the entire story. And if spiciness is the reason we call them Deviled Eggs, then why do we call the spiceless cake Devil’s Food Cake? If you celebrate Easter, then Happy Easter! If not, then Happy Eggs! So lovely! Thanks for showing the step by step pictures! Maybe another fun way to put colors in the kids bentos lunch boxes? How mad is those colored eggs … never seen anything like it … I’m not of fan of playing with food and coloring of food, but they are truly lovely. And mimosa is wonderful. Happy Easter. Someone emailed and asked if the vinegar in the dye made the eggs taste like vinegar. In my opinion, it does not. 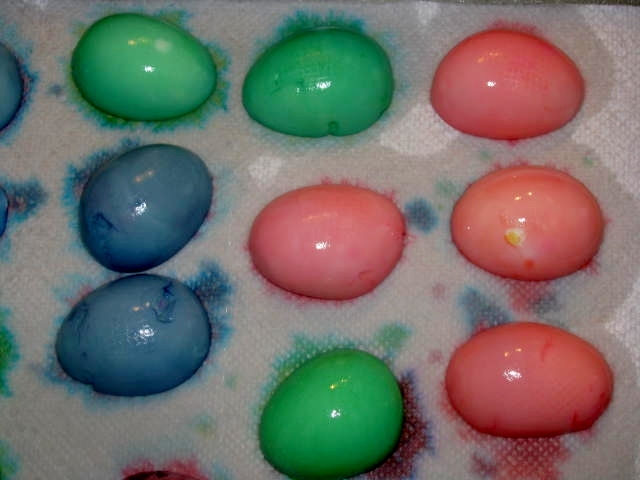 we made these yesterday with some of our eggs that we had dyed, to take to Easter dinner. Very easy, and so pretty! We always look so impressive when we try your projects – thanks for posting fun, easy things! Thanks, Chris. I’m all about pretty, fun, and easy! And tasteful – as in flavorful and also as in good taste. I like happy and colorful, too. Glad you liked the eggs.